The nation’s only trade organization dedicated solely to the interests of Inpatient Rehabilitation Hospitals and Units, outpatient rehabilitation centers, and other medical rehabilitation providers. Looking for a medical rehabilitation hospital? Our searchable database will help you find a medical rehabilitation hospital close to you. The AMRPA Career Center is the place for thousands of jobs in the medical rehabilitation field. Post your resume, apply for jobs and sign up for alerts. Looking to hire? Post your jobs here! AMRPA provides information and education, as well as tools and operational support, to successfully navigate today’s challenging, and ever-changing, health care environment. AMRPA webinars offer insight, practical tips, and analysis of trends that impact how you work and how rehab treatment is delivered, all at an attractive price, and without the expense of travel! eRehabData® has set the standard for outcomes software with a complete IRF-PAI solution packed with interactive tools and rich reporting features. 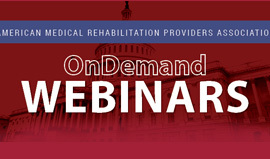 Join us on April 16th at 1:00pm ET to discuss updates on key issues of importance to medical rehabilitation providers, including the President's budget, MedPAC recommendations, the status of the FY 2019 IRF PPS final rule and more. Presentation by Carolyn Zollar, JD, AMRPA Senior Policy Counsel. 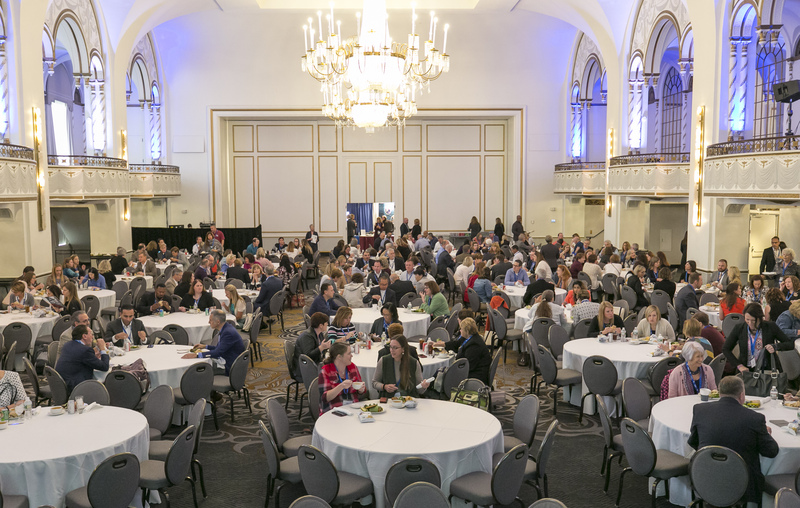 AMRPA will host the 17th Annual Fall Educational Conference & Expo featuring a full day IRF Boot Camp on October 14-16, 2019. Interested in presenting? Click the link below to see our abstract submission guidelines. Deadline for abstracts is May 6! A new community forum, enabling a private social network for members to form communities, collaborate, manage industry profiles, and connect with peers and colleagues. AMRPA has re-instituted its Regional Meeting Series! This summer's meetings will take place in Michigan and Florida.